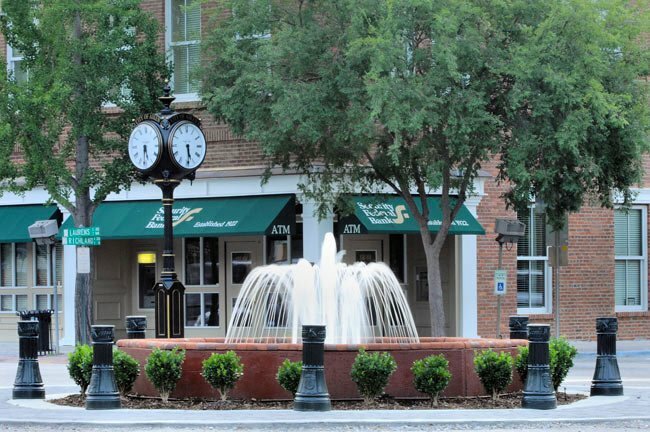 Downtown Aiken is the center of South Carolina‘s Thoroughbred Country, which also encompasses the surrounding counties of Allendale, Bamberg, and Barnwell. 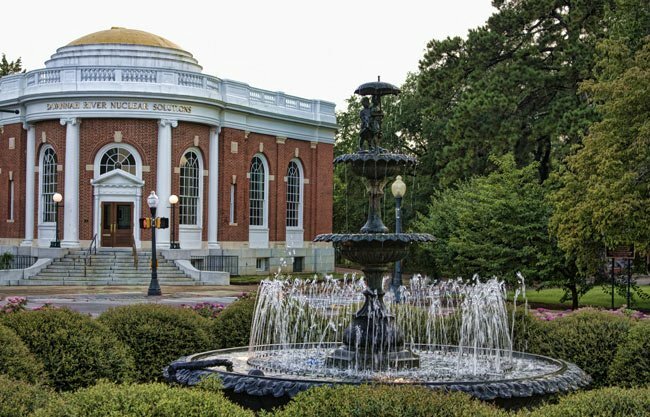 Its historic district is well-preserved and thoughtfully landscaped, with flowers, fountains, and sculptures both serious and fun. 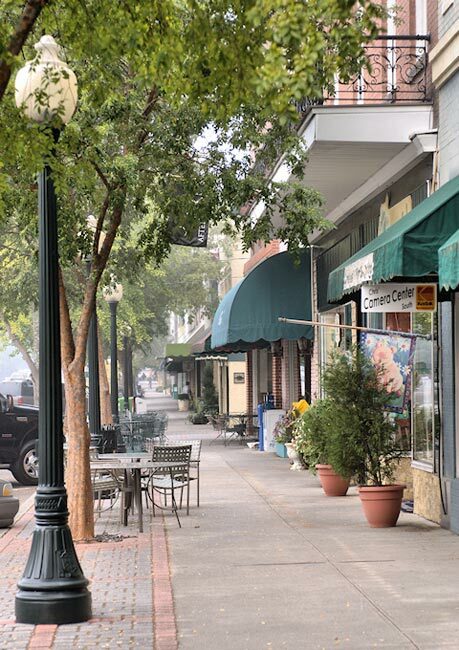 Unique shops, spas, and restaurants can be found throughout Aiken, and there are several nice inns and bed and breakfasts to enjoy. Flat racing, steeplechases, harness racing, and polo all have long traditions in Aiken. The “season” begins in March with the Aiken Triple Crown. The three jewels in the crown event include the Aiken Trials (flat racing), the Aiken Spring Steeplechase, and a polo match. Located at the corner of Laurens Street and Richland Avenue, Aiken‘s town clock was installed in 2007. Aiken got its start as a railroad town. In the 1830s, the South Carolina Canal and Railroad Company established a route between Charleston and Hamburg to transport tobacco and cotton. William Aiken was president of the railroad and the fledgling town of Aiken took his name. Soon after, streets were arranged by an engineer, and the town was chartered in 1835. William Aiken’s son, also named William Aiken, served as a US senator and congressman. He also served as governor of South Carolina from 1844 until 1846. Visit the Aiken-Rhett House in Charleston, owned by both William Aiken, Sr. and his son. Thank you so much for this. I believe it sure has changed for the better since I was there last. I love down town Aiken! I would love to live there, but I have children and grand children and great grand children here in Oregon, which I would not want to be too far away from. I would like to purchase a poster of the painted horses around town. How do I do that? I live here and I have all my life. I love it here, it is always so fun and there is always something to entertain you. Your town looks very beautiful — possibly a place for my husband and I to move to once I retire!